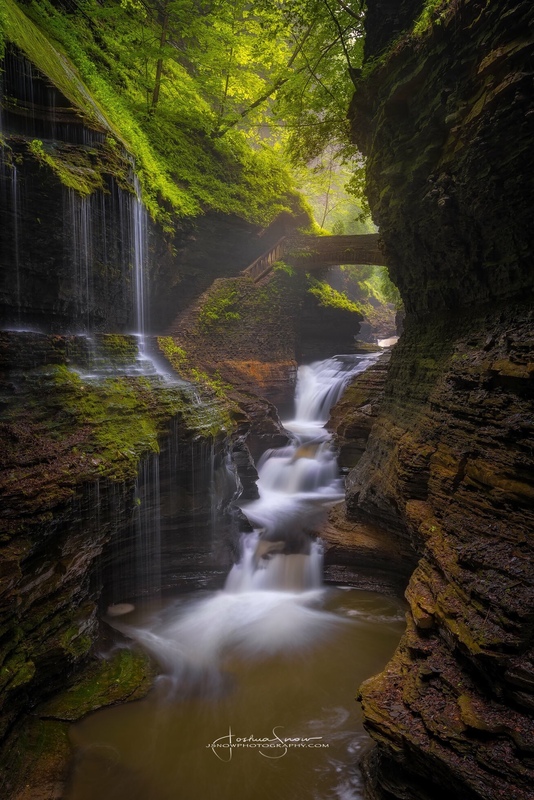 Have you ever wanted to capture the stunning motion of flowing water falls, and the vibrant colors of the foliage that surrounds them? Or that awesome seascape with waves crashing over craggy rocks? Have you ever been intimidated by using filters? 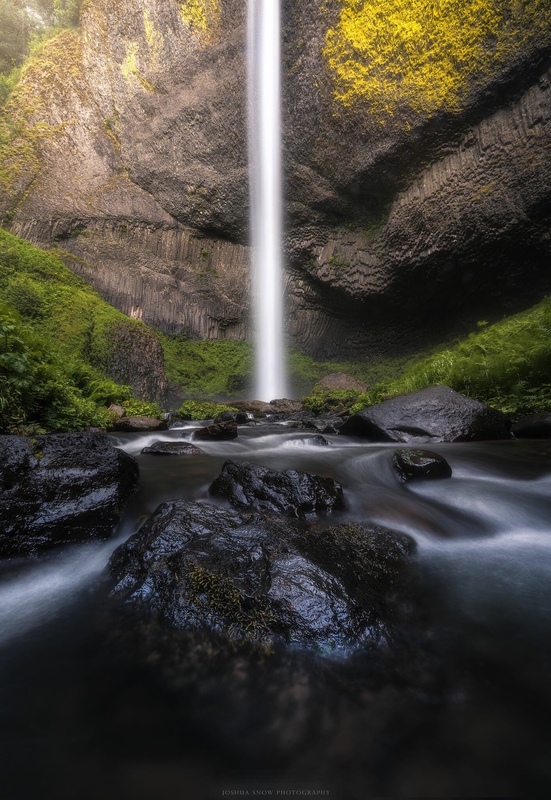 Well here are my top 10 tips for photographing stunning waterfall scenes any time of year! Light! 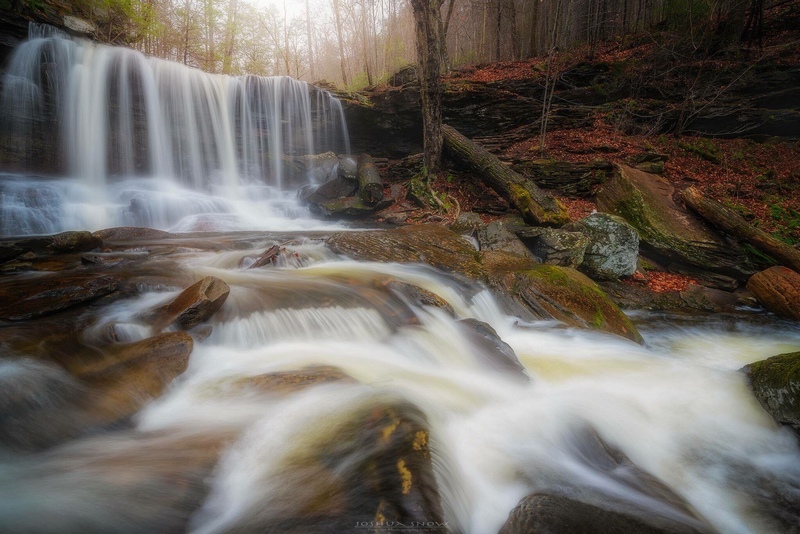 I find that the best times to shoot waterfalls with the most even light is around Sunrise, or sunset but an overcast sky can allow you to shoot water scenes almost all day! Filters! Use a filter to soften and smooth water, but how much smoothing is personal taste! I like to maintain some texture so I aim for 1/3-1 second exposures and can typically achieve that with a Circular Polarizer, and 3 Stop ND combination! Tripod! 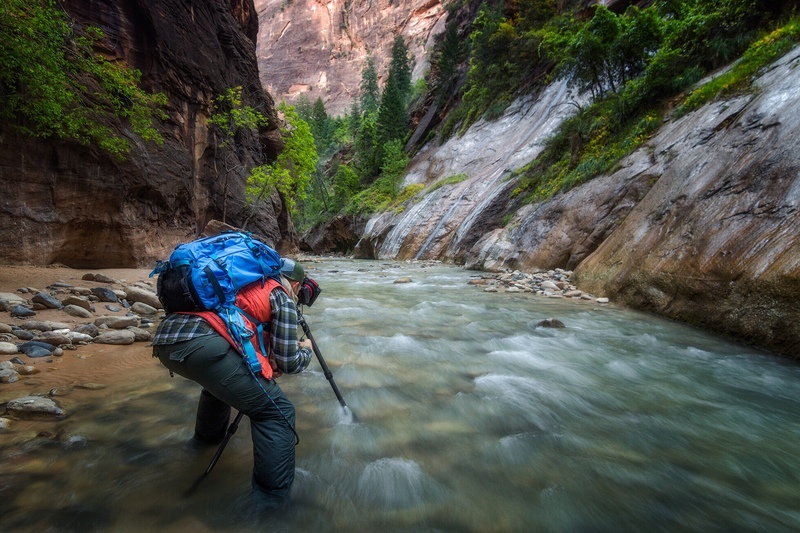 Use a solid and sturdy tripod! This is of HUGE importance, and if your tripod isn’t the sturdiest you can help it along by placing a few rocks in a bag and hanging it from the center piece of your tripod! They also make “rock bags” for this purpose! Mirror Lock-up! Use Mirror lock up mode! This mode allows the mirror to flip up and out of the way on the first press of the shutter. Doing this and allowing the camera to rest for a second will help eliminate some of the motion blur that can be caused by the motion of the mirror slapping up. 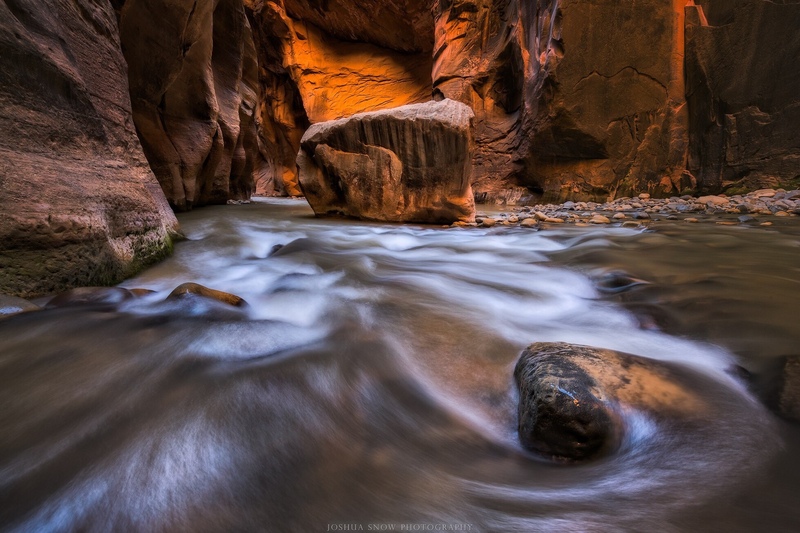 This can make a huge difference in exposures with longer shutter speeds! Remote! Use a remote or shutter release cable (the cheap Amazon ones work great!)! 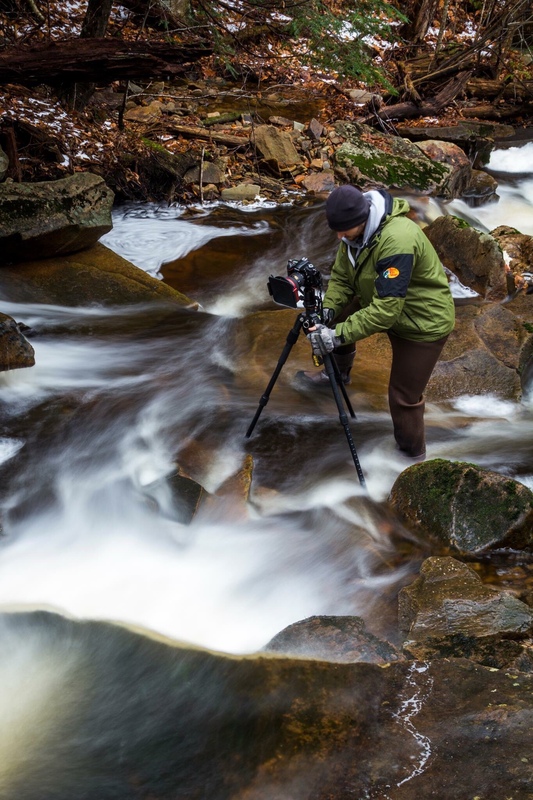 You don’t want your camera to move at all throughout the exposure, and in some cases the flowing water will already be a nuisance here so using a remote allows you to be hands off with the camera! Get low! 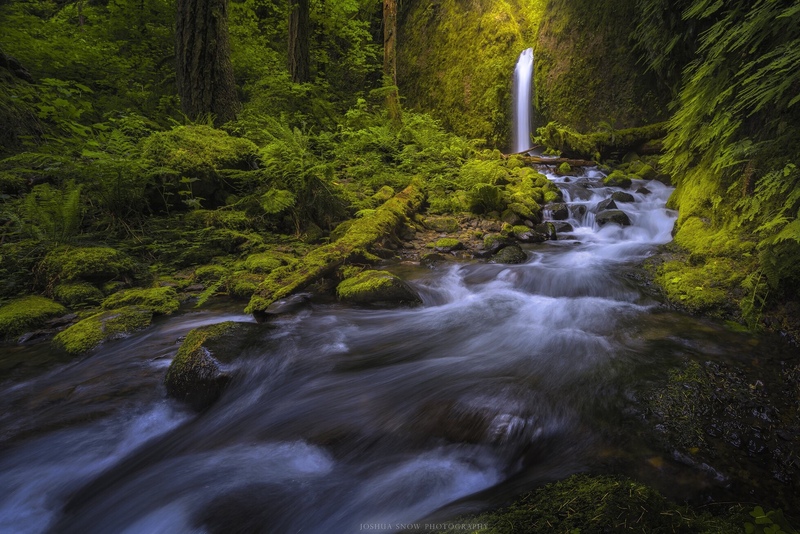 Getting low and wide helps exaggerate and accentuate the flowing water feeling! Composition!Find an anchor. 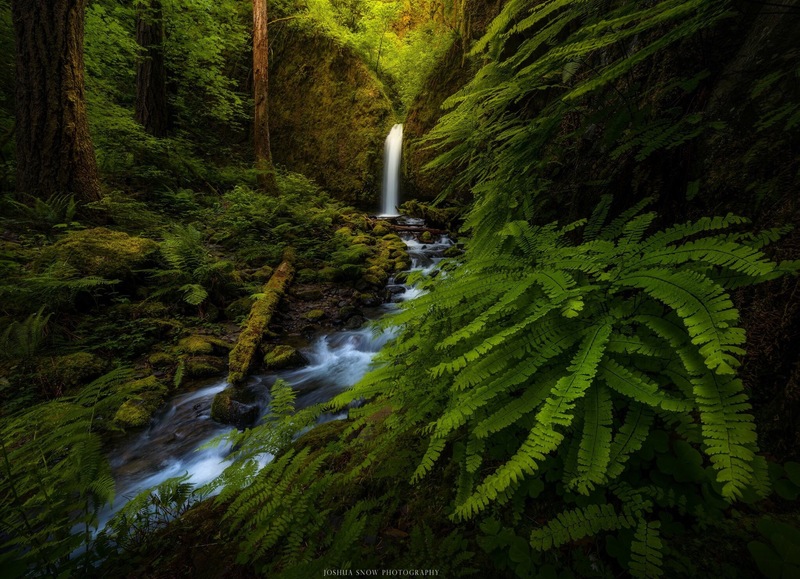 Finding a boulder, rock, vibrant leaf or even ripple pattern as your foreground anchor can really help the composition and take a flat documentary photo to a dynamic scene with loads of depth! Framing!Fill the frame, and frame the scene! Filling the frame is important in landscape photography but the trick is balancing the composition and flow without much “clutter”. 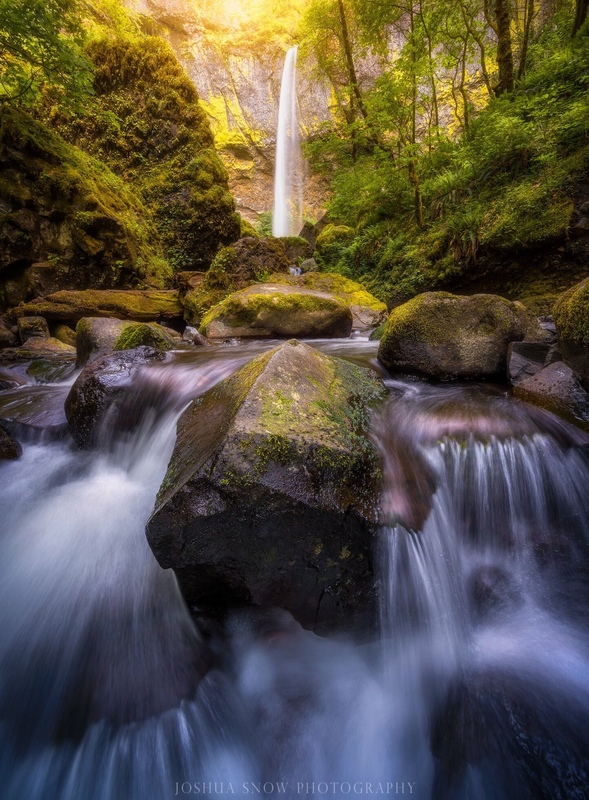 Use rocks, foliage or even dodging and burning to frame the scene and direct the eye! Bracket! Taking multiple frames from dark to light allows you to harness the most dynamic range possible, and sometimes the scene is very dynamic with deep shadows and bright highlights so you can choose what information you need from each exposure! Work the scene! Move around and look for multiple compositions! A lot of times you may not be as happy with a series of photos at home in the lab as you were in the field so moving around and shooting multiple scenes can sometimes save a trip!